Manufactured by CPC®, this AseptiQuik® connector provides a quick and easy sterile connection, a critical capability for biopharmaceutical manufacturers. Featuring an easy-to-use, three-step design and a wide range of options, Qosina part number AQC33012 allows easy transfer of media with less risk of error. This connector body is complete with a 3/8 inch ID hose barb. Made from polycarbonate and silicone, this quick disconnect's robust, reliable performance eliminates the need for clamps, fixtures or tube welders, providing high quality, single-use connections every time. Manufactured by CPC®, this AseptiQuik® connector provides a quick and easy sterile connection, a critical capability for biopharmaceutical manufacturers. Featuring an easy-to-use, three-step design and a wide range of options, Qosina part number AQC17006 allows easy transfer of media with less risk of error. This connector body is complete with a 3/8 inch ID hose barb. Made from polycarbonate and silicone, this quick disconnect's robust, reliable performance eliminates the need for clamps, fixtures or tube welders, providing high quality, single-use connections every time. 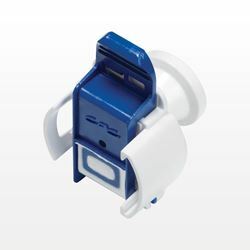 Manufactured by CPC®, this AseptiQuik®connector provides a quick and easy sterile connection, a critical capability for biopharmaceutical manufacturers. Featuring an easy-to-use, three-step design and a wide range of options, Qosina part number AQC17008 allows easy transfer of media with less risk of error. This connector body is complete with a 1/2 inch ID hose barb. Made from polycarbonate and silicone, this quick disconnect's robust, reliable performance eliminates the need for clamps, fixtures or tube welders, providing high quality, single-use connections every time. Manufactured by CPC®, this AseptiQuik® connector provides a quick and easy sterile connection, a critical capability for biopharmaceutical manufacturers. Featuring an easy-to-use, three-step design and a wide range of options, Qosina part number AQC22006 allows easy transfer of media with less risk of error. This connector insert is complete with a 3/8 inch ID hose barb. Made from polycarbonate and silicone, this quick disconnect's robust, reliable performance eliminates the need for clamps, fixtures or tube welders, providing high quality, single-use connections every time. Manufactured by CPC®, this AseptiQuik®connector provides a quick and easy sterile connection, a critical capability for biopharmaceutical manufacturers. Featuring an easy-to-use, three-step design and a wide range of options, Qosina part number AQC22008 allows easy transfer of media with less risk of error. This connector insert is complete with a 1/2 inch ID hose barb. Made from polycarbonate and silicone, this quick disconnect's robust, reliable performance eliminates the need for clamps, fixtures or tube welders, providing high quality, single-use connections every time. 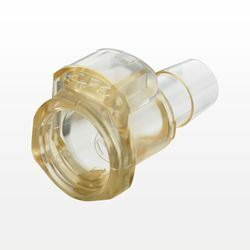 Manufactured by CPC®, this AseptiQuik® connector provides a quick and easy sterile connection, a critical capability for biopharmaceutical manufacturers. Featuring an easy-to-use, three-step design and a wide range of options, Qosina part number AQC44012 allows easy transfer of media with less risk of error. This connector insert is complete with a 3/8 inch ID hose barb. 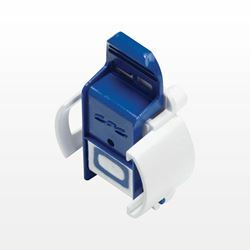 Made from polycarbonate and silicone, this quick disconnect's robust, reliable performance eliminates the need for clamps, fixtures or tube welders, providing high quality, single-use connections every time. 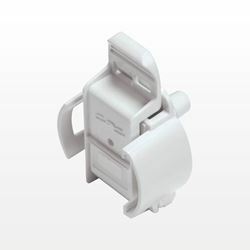 Manufactured by CPC®, this AseptiQuik® connector provides a quick and easy sterile connection, a critical capability for biopharmaceutical manufacturers. Featuring an easy-to-use, three-step design and a wide range of options, Qosina part number AQCDC17004 allows easy transfer of media with less risk of error. This connector body is complete with a 1/4 inch ID hose barb. Made from polycarbonate and silicone, this quick disconnect's robust, reliable performance eliminates the need for clamps, fixtures or tube welders, providing high quality, single-use connections every time. 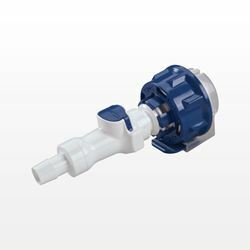 Manufactured by CPC®, this AseptiQuik® connector provides a quick and easy sterile connection, a critical capability for biopharmaceutical manufacturers. Featuring an easy-to-use, three-step design and a wide range of options, Qosina part number AQCDC17006 allows easy transfer of media with less risk of error. This connector body is complete with a 3/8 inch ID hose barb. Made from polycarbonate and silicone, this quick disconnect's robust, reliable performance eliminates the need for clamps, fixtures or tube welders, providing high quality, single-use connections every time. Manufactured by CPC®, this AseptiQuik® connector provides a quick and easy sterile connection, a critical capability for biopharmaceutical manufacturers. Featuring an easy-to-use, three-step design and a wide range of options, Qosina part number AQCDC17008 allows easy transfer of media with less risk of error. This connector body is complete with a 1/2 inch ID hose barb. Made from polycarbonate and silicone, this quick disconnect's robust, reliable performance eliminates the need for clamps, fixtures or tube welders, providing high quality, single-use connections every time. 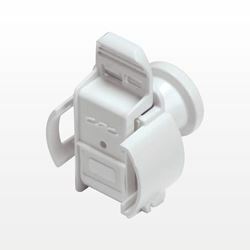 Manufactured by CPC®, this AseptiQuik® connector provides a quick and easy sterile connection, a critical capability for biopharmaceutical manufacturers. Featuring an easy-to-use, three-step design and a wide range of options, Qosina part number AQCDC22004 allows easy transfer of media with less risk of error. This connector insert is complete with a 1/4 inch ID hose barb. Made from polycarbonate and silicone, this quick disconnect's robust, reliable performance eliminates the need for clamps, fixtures or tube welders, providing high quality, single-use connections every time. 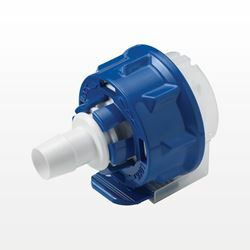 Manufactured by CPC®, this AseptiQuik® connector provides a quick and easy sterile connection, a critical capability for biopharmaceutical manufacturers. Featuring an easy-to-use, three-step design and a wide range of options, Qosina part number AQCDC22006 allows easy transfer of media with less risk of error. This connector insert is complete with a 3/8 inch ID hose barb. Made from polycarbonate and silicone, this quick disconnect's robust, reliable performance eliminates the need for clamps, fixtures or tube welders, providing high quality, single-use connections every time. 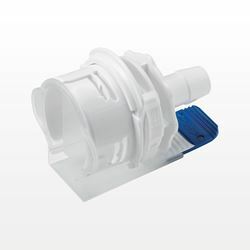 Manufactured by CPC®, this AseptiQuik® connector provides a quick and easy sterile connection, a critical capability for biopharmaceutical manufacturers. Featuring an easy-to-use, three-step design and a wide range of options, Qosina part number AQCDC22008 allows easy transfer of media with less risk of error. This connector insert is complete with a 1/2 inch ID hose barb. Made from polycarbonate and silicone, this quick disconnect's robust, reliable performance eliminates the need for clamps, fixtures or tube welders, providing high quality, single-use connections every time. 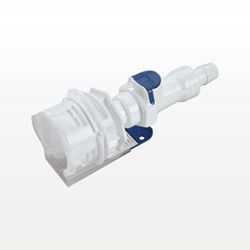 Manufactured by CPC®, this AseptiQuik® connector provides a quick and easy sterile connection, a critical capability for biopharmaceutical manufacturers. Featuring an easy-to-use, three-step design and a wide range of options, Qosina part number AQS17002 allows easy transfer of media with less risk of error. This connector also features a genderless design and 1/8 inch ID hose barb Made from polycarbonate, this quick disconnect's robust, reliable performance eliminates the need for clamps, fixtures or tube welders, providing high quality, single-use connections every time. 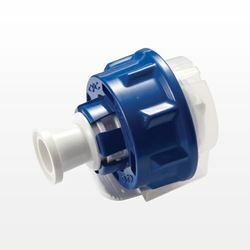 Manufactured by CPC®, this AseptiQuik® connector provides a quick and easy sterile connection, a critical capability for biopharmaceutical manufacturers. Featuring an easy-to-use, three-step design and a wide range of options, Qosina part number AQS17004 allows easy transfer of media with less risk of error. This connector also features a genderless design and 1/4 inch ID hose barb Made from polycarbonate, this quick disconnect's robust, reliable performance eliminates the need for clamps, fixtures or tube welders, providing high quality, single-use connections every time. Manufactured by CPC®, this AseptiQuik® connector provides a quick and easy sterile connection, a critical capability for biopharmaceutical manufacturers. Featuring an easy-to-use, three-step design and a wide range of options, Qosina part number AQS17004HT allows easy transfer of media with less risk of error. This connector also features a genderless design and 1/4 inch ID hose barb. Made from high temperature polycarbonate, this quick disconnect's robust, reliable performance eliminates the need for clamps, fixtures or tube welders, providing high quality, single-use connections every time. Manufactured by CPC®, this AseptiQuik® connector provides a quick and easy sterile connection, a critical capability for biopharmaceutical manufacturers. Featuring an easy-to-use, three-step design and a wide range of options, Qosina part number AQS17002HT allows easy transfer of media with less risk of error. This connector also features a genderless design and 1/8 inch ID hose barb Made from high temperature polycarbonate, this quick disconnect's robust, reliable performance eliminates the need for clamps, fixtures or tube welders, providing high quality, single-use connections every time. Manufactured by CPC®, this AseptiQuik® connector provides a quick and easy sterile connection, a critical capability for biopharmaceutical manufacturers. Featuring an easy-to-use, three-step design and a wide range of options, Qosina part number AQS33012HT allows easy transfer of media with less risk of error. 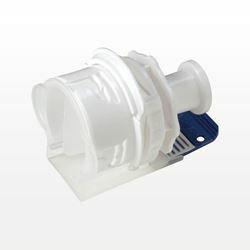 This connector also features a genderless design and 3/4 inch ID sanitary hose barb. Made from high temperature polycarbonate, this quick disconnect's robust, reliable performance eliminates the need for clamps, fixtures or tube welders, providing high quality, single-use connections every time.